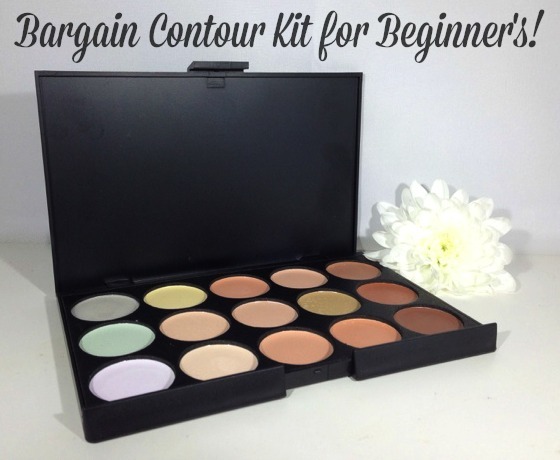 HaySparkle: Bargain Contour Kit for Beginner's! Contour and Highlight Kits seem to be everywhere at the moment, they have become so popular and their results really can be rather impressive. So of course I just had to jump on the contour bandwagon but having not contoured properly before I wanted something affordable that I could use to practise with first, after browsing online I found an absolute bargain on eBay for just £3.99.... Yup, you did read that correctly beaut's, It really was just £3.99 including the p&p. 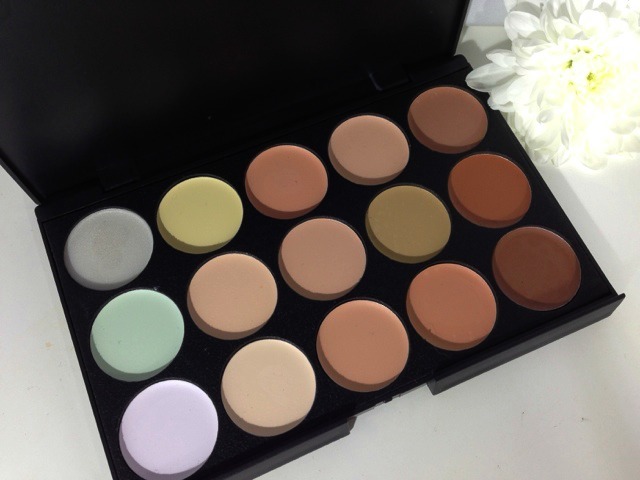 The eBay Contour kit contains 15 shades in total, 12 of which are gorgeous shades for contouring, you also get 2 corrector shades, a green for any redness and a lilac for discolouration, if that wasn't good enough you also get a shimmery highlight shade as well.. wowza! 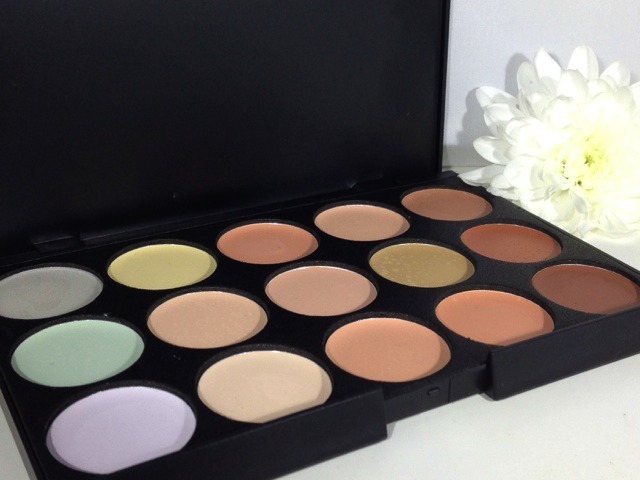 All of the shades in the palette have a cream formula which I actually prefer as I find powder contour kits can be harder to use for beginners, but with creams they are so easy to apply, blend and work with, it's also easier to correct if you make mistakes with a cream contour, theres nothing your trusty foundation brush wont fix ha ha. All of the shades in the kit are around the same size as the MAC eyeshadow refills, so each shade isn't as big as your typical contour palette but as the palette is such a bargain that doesn't bother me in the slightest, I mean its still amazing value. I was concerned that because the kit was so cheap that the quality and staying power would be terrible but I have to say it really is great!! I never have any problems with the contour colours slipping or caking up on my face and it lasts a good 6/7 hours too before I noticed it starts to wear off, I know I don't have any contour kits to compare the eBay offering too but I really am impressed with this little gem. The way I use the kit is by popping the contour shades onto my face anywhere that I want to sculpt or highlight, I do this by using my Real Techniques Deluxe Crease Brush as it's the perfect size to place all the shades on your face before blending. 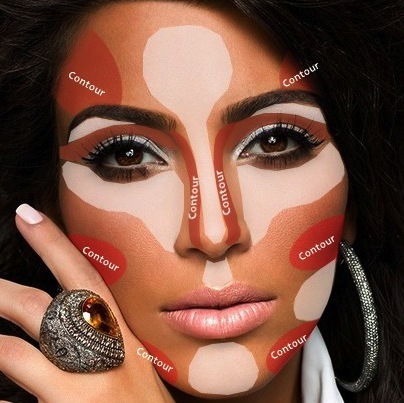 I have added a picture of the beautifully, contoured goddess that is Kim K just to help any of you girlie's out there that are beginners to contouring like me! Once I am happy with the contour shades placement I grab my buffing brush and go on a blending spree, getting rid of any harsh lines and making it all look as natural as possible, like I said before if you do go slightly OTT with the contour shades I'd suggest using your foundation brush that still has some foundation left on it to help soften it up abit. I'll be more than happy to do a step by step post on how I contour personally, but for today I really wanted to just share with you all this bargain of a palette. Overall I'm so happy I decided to pick up this little contour kit, its certainly been great to practise with, the only downside I have noticed is that some of the shades do need warming up slightly with your finger or your brush before they are really creamy, apart from that it's a great little affordable palette that works a treat! 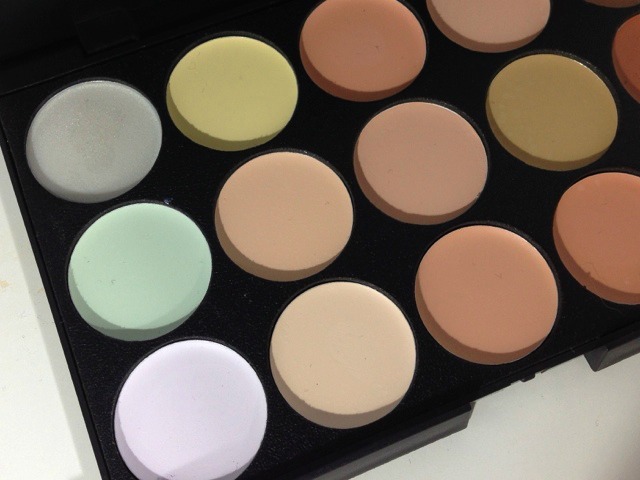 You can buy your very own palette HERE for £3.99 including p&p woohoo!!! 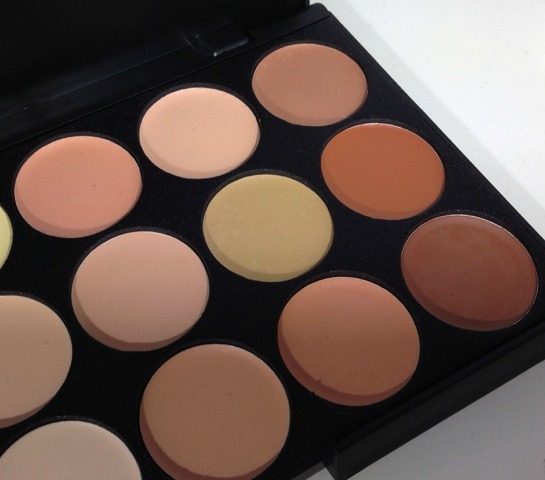 Have you picked up the eBay Contour Kit?? What did you think?? I'd love to know! This does look such a nice kit! But I always worry about buying cosmetics from eBay because you just don't know what's in them. I read an article once on eBay cosmetics, mainly the fake MAC and Benefit products you can find there, but they contained dangerous ingredients in, some even had lead, copper and mercury in! I just don't trust eBay for make up products! Just bought one! Can't resist a bargain!